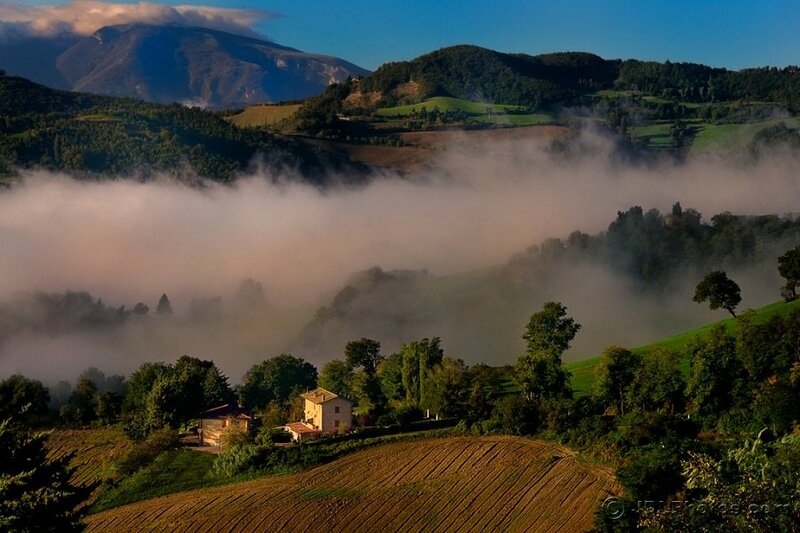 Le Marche is perhaps the most picturesque region of Italy. Discover my guide to the best of le Marche. From San Leo to Ascoli Piceno I’ll show you the amazing places the tourists haven't yet discovered. Le Marche Italy is located on the East Italian coast, sandwiched between the Appenines and the Adriatic, halfway down the boot - there's a map at the end of the article. 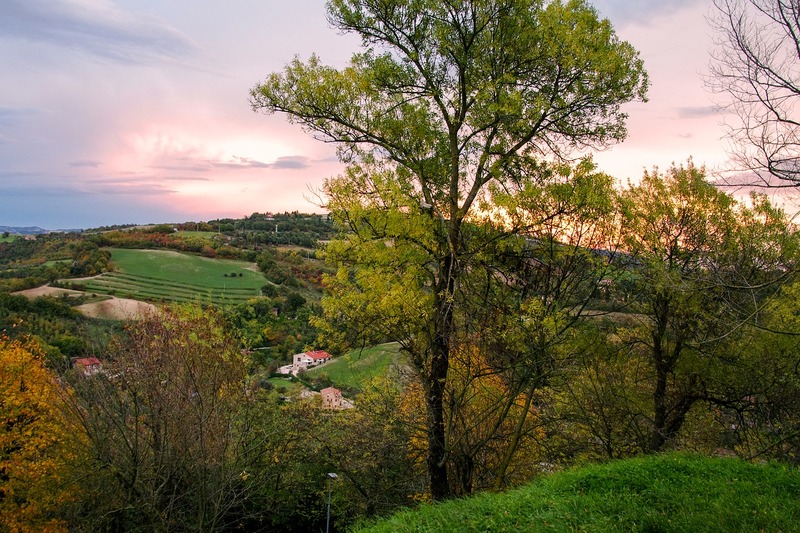 Le Marche, like Piedmont, has really begun to open up with the onset of cheap flights and with many wonderful and great value hotels in Le Marche bargains are a lot easier to find here than in most other Italian regions. The Marches, to give the region its English name, is a scenically beautiful region of Italy and one rich in tradition and history. Best of all is that it is still relatively unknown outside of Italy and ten years ago it was part of Italy that was completely new to me. My discovery of the region happened about a year after moving to Piedmont in the north of Italy. Some friends suggested that my Italian wife, Maria, and I join them on a holiday and together we decided to rent a house in le Marche. The house we rented is still there and is now available on my site (see the third house on this page). Since then my love for this region has continued to grow, this area and Piedmont are the places in Italy that I know best and love most. 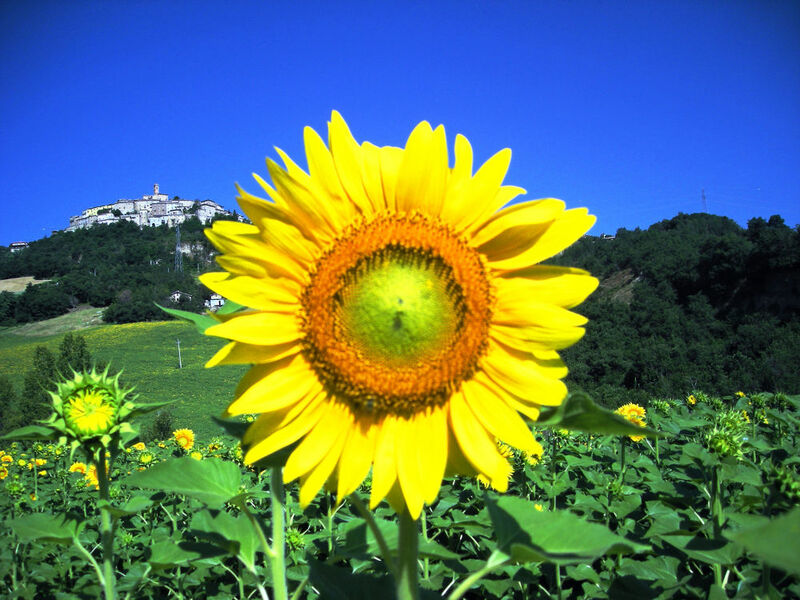 Although Maria's first love is for her home region of Veneto, she too has fallen in love with the Marche. Le Marche encompasses all the best aspects of Italian living and is characterized by small intimate cities like Ancona and Ascoli Piceno. 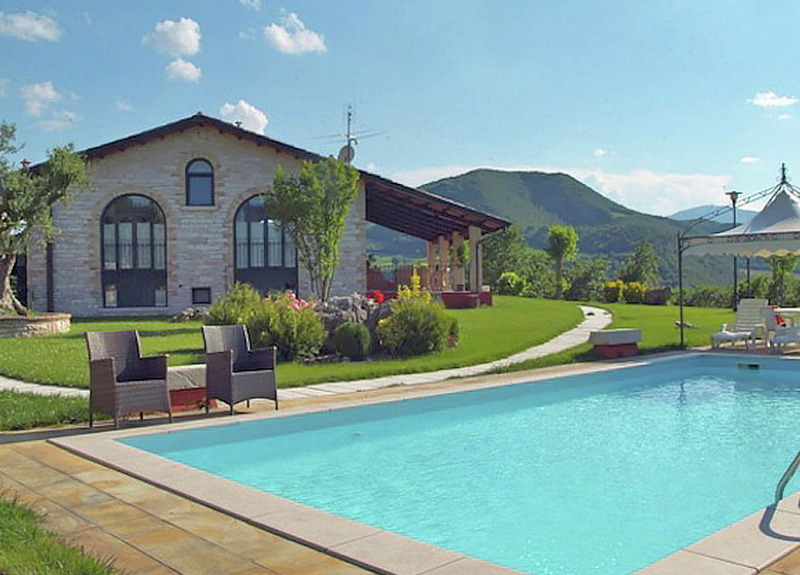 Apart from renting your own home there are some really lovely hotels in Le Marche. First is the quite incredible Borgo Storico Seghetti Panichi a hotel, a home and a place where dreams and hopes are magically restored and where a sense of happiness seems to pervade the very atmosphere. Then there is the Ca Virginia Country House, although not really a "traditional" hotel the Ca Virginia is a delightful place to stay, a true taste of Italian country life, and very good value too. The best Le Marche beach region is a little south of Ancona, the completely unspoiled nature reserve of Monte Conero and the coastal area around Portonovo, known as the “Riviera del Conero”. A magical land of azure seas lapping gently onto beaches of silver sand. Many of the best beaches can only be reached by boat, or by hiking or cycling through the surrounding oak forests. Base yourself in Portonovo to best explore. Ancona is often your place of arrival with many flights arriving here. The city is okay and if you stay overnight make sure you eat at the Ristorante Osteria Teatro Strabacco featured in my Restaurant Guide. 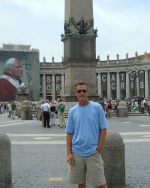 If you have been to Italy before and/or speak Italian you can easily tour on your own BUT whether you know Italy well or have never been before it is a good idea to let Moreno help you. Moreno is a local who knows this bucolic landscape inside and out. His tours really are something special and can be tailored to fit your needs. From big groups to two people he'll take you on an unforgettable journey. His Italy is the Italy you have always dreamed of, the Italy of yesteryear and the Italy of Under the Tuscan Sun...only better! For an example of the tours Moreno can offer click here. Ascoli Piceno is lovely - a definite favourite. The food is excellent and there is much to see. A small city of around 50,000 Ascoli Piceno dates back to before Roman times when it was the capital of Piceno. Urbino, together with the ancient hill town of San Leo (just across the border of Le Marche), and the famous villages of Mondavio and Corinaldo are awe-inspiring. It was near here, over nine years ago, that we rented our first Marche villa together with friends. Since then we have not been able to avoid coming back year after year. Urbino, Mondavio and San Leo, like almost the entire Marche area, are virtually tourist free... especially out of season. Don't miss Genga too, where you'll find the awe inspiring church in a cave (click for more). One other lovely little village you should try to see while here is San Ginesio (read more). A real little gem on the doorstep of the Monte Sibillini National Park. 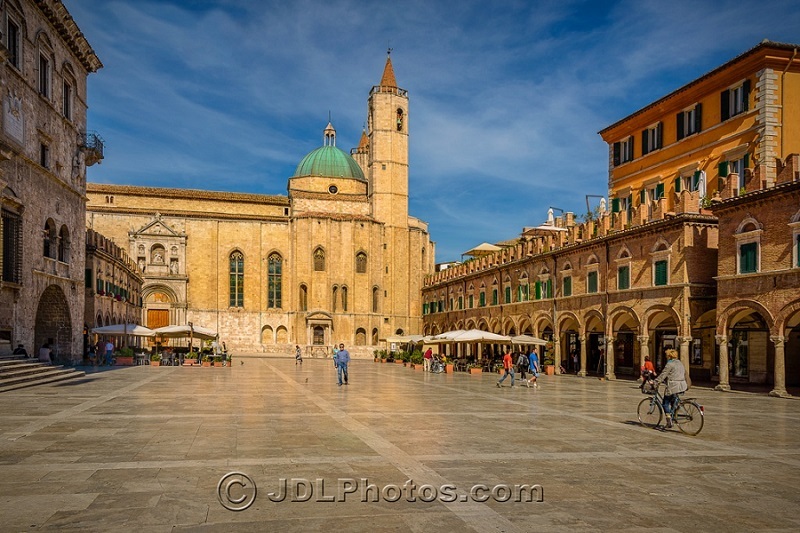 Once you visit the Marche you will keep coming back and maybe even buy a holiday home here. Le Marche will change your life forever!!! Subscribe FOR FREE to my monthly newsletter, My Piedmont and Marche Top Tips. The latest about Italy straight to your inbox!